Proteins are substances composed of amino acid compounds held together by covalent bonds. Protein is the basis of all body tissues. Protein compounds perform different functions in the body. They are involved in a large number of chemical reactions occurring in the body, including the exchange processes. Protein is also used in cell signalling systems and supports cell efficiency. Protein connections provide normal functioning of all body systems, including the brain and heart. Protein supplements by Universal Nutrition are manufactured using advanced technologies and only natural ingredients. Universal Nutrition Milk and Egg Protein has modern formula of high quality protein. This formula contains low fat and provides high levels of protein and essential nutrients - to increase lean muscle mass. Milk and Egg Protein by Universal Nutrition is made of carefully selected high-quality protein sources (including calcium caseinate, lactalbumin and egg albumin). The supplement contains large amounts of essential vitamins, minerals and electrolytes. No other formula is as effective, as Universal Milk and Egg Protein, which extends training and optimizes physical performance. This protein supplement also contributes to a significant increase in nitrogen balance in your body. Besides, it prevents the breakdown of muscle tissue and normalizes metabolism processes. The product stimulates energy production as a result of the sugar splitting and accelerates muscle growth. Another protein supplement offered by Universal Nutrition is Ultra Whey Pro. It is one of the most popular whey proteins in powder form. It is pure serum protein mixture, which consists of ultra-filtrated whey protein concentrate, partially hydrolyzed whey peptides and whey isolates. 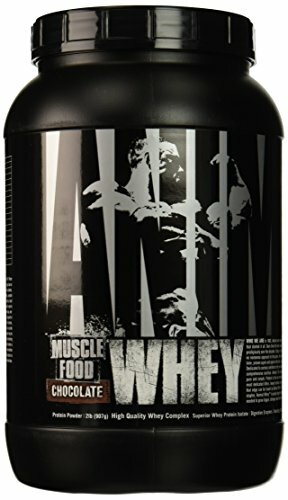 Each scoop of the product gives your muscles 22 grams of quality whey protein for maximum results and anti-catabolic muscle-building activities. Whey protein is digested and absorbed by the body very quickly. Immediately after the consumption the supplement starts repairing muscle growth and recovery. Ultra Whey Pro has a full range of EAA and BCAA amino acids, which play a key role in muscle building. Apart from increasing muscle mass and protection from catabolism, the protein will also strengthen your immune system and help in weight loss during a diet.